April 22nd, for all of you who aren’t dating/married to a feisty vegan who freaks out every time she finds your Hot N’ Spicy Baken-Ets® bag at the bottom of the recycling bin, happens to be Earth Day. But all kidding (and pork rinds) aside, it’s also a pretty good day to think about the stuff we can do to make a difference—after all, we only have one Earth, and—barring any intergalactic wormholes that allow us to colonize a watery sister planet in an alternate universe—we’re in it for the long haul. Which means each one of us ought to do our part to take better care of this place. 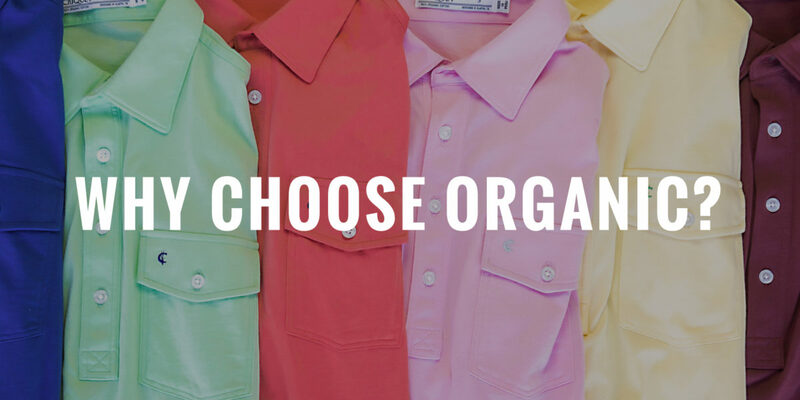 Which in our case means we make our shirts from certified organic cotton. And that begets the obvious question…what the f*ck is organic cotton? Well, for starters, it is cotton that’s grown without the use of synthetic fertilizers or pesticides. Why is this important? Because globally, cotton only covers about 2.5% of all cultivated land, but uses a whopping 16% of the world’s insecticide—more than any other crop. Basically, by eliminating the use of the unsavory chemicals in pesticides, which can pollute the air and water, irritate human skin, and cause unsightly genetic changes in susceptible organisms, we’re utilizing growing conditions that are better for the soil, local eco-systems, and for the farmers who grow and harvest it. Any way you look at it, organic cotton is the more responsible choice, because it’s better for the planet. Beyond simply being organic, however, the cotton we use in Criquet shirts is also super soft. Like, baby-rabbit-soft. Butterfly-kisses-from-Brigitte-Bardot-soft. We tested and tried a number of options until we found the most comfortable, wearable organic cotton we could. And the results, we think, pretty much speak for themselves. So Happy Earth Day. Reduce, reuse, and recycle . . . except for that bag of pork rinds. Those go in the trash, my friend.